The warm and inviting weather is back and we couldn't be more excited to have yoga classes on our patio Sunday mornings. Starting this Sunday, we will have all-level yoga class on our beautiful patio at 11am. The beer lover in us recognizes the beer lover in you, come to down to the Deadbeach on Sunday and get your yoga on! Cheers! GO FEVER is an indie rock band from Austin, fronted by Australian songwriter Acey Monaro. Their sophomore album, Daydream Hawker, was released 2/1/2019 and is now available on all streaming platforms and from most Austin record stores. 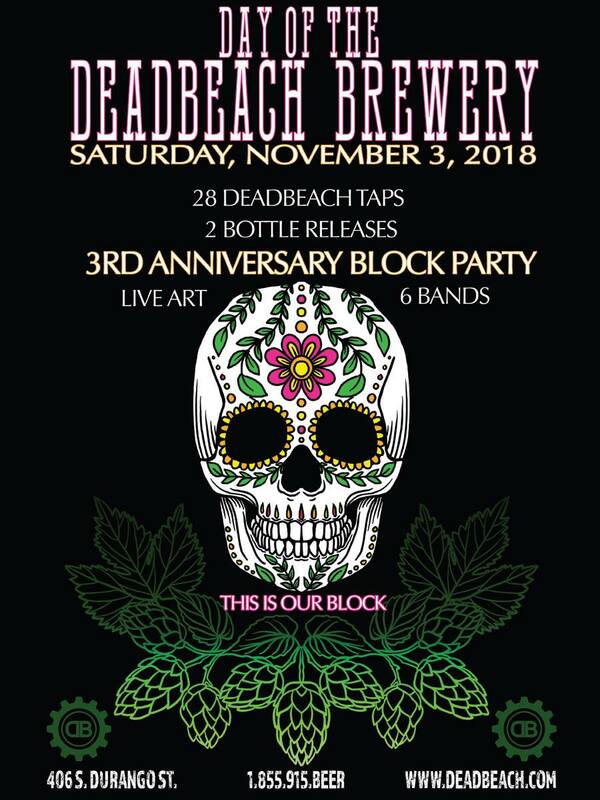 Come ring in the New Year with the DeadBeach crew. We are finishing 2018 with a bang and want you to come be apart of it. 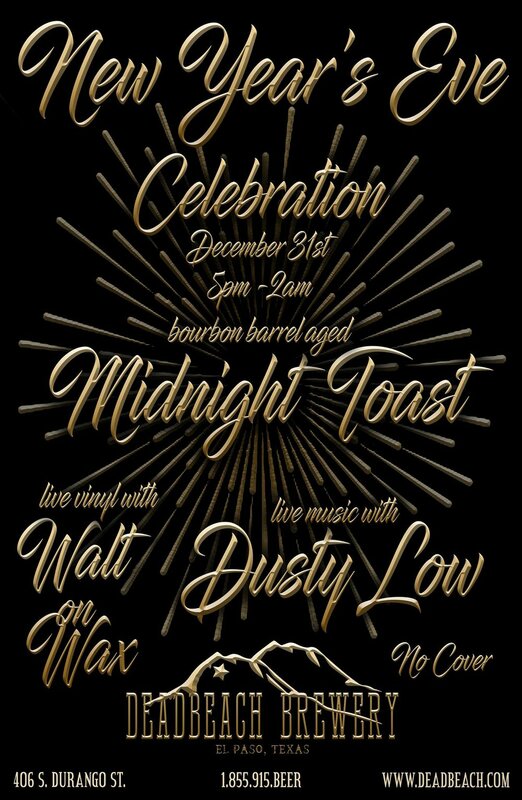 We will have a great line-up of specialty beers, Dusty Low will be playing out on our covered patio, Walt on Wax will be inside playing the best vinyl in town. At midnight everyone in the house will toast to the new year with our 3rd anniversary barrel aged imperial pastry stout. No cover charge and nothing but good vibes until 2am. Cheers to 2019!